Fog is iconic to the Northern California coasts, but it turns out these low-lying clouds that billow in from the ocean are not just an amazing photo opp, or a wet blanket on a day at the beach. They appear to be bringing toxic mercury with them. 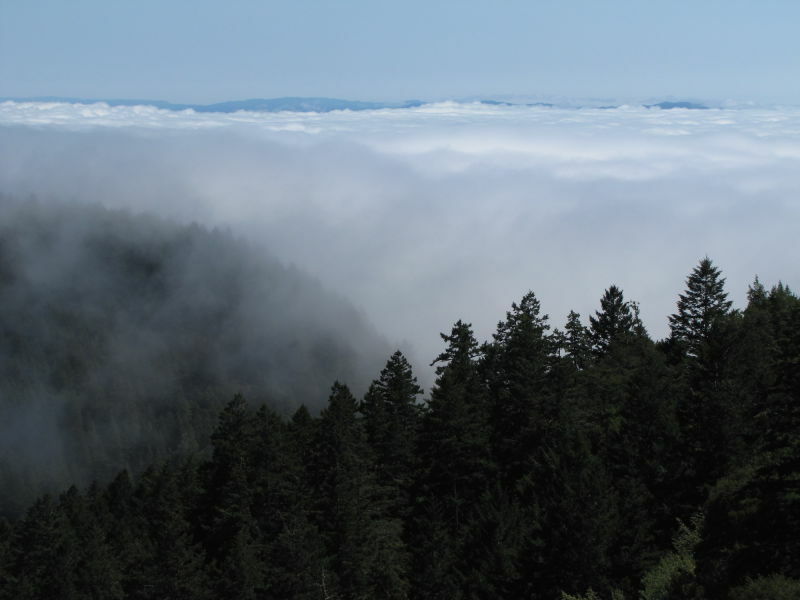 In a project called FogNet, scientists have been collecting fog at coastal sites from Monterey to Eureka over the past two summers to examine the chemistry of the water droplets. They've discovered that fog — not rain — carries most of the mercury that falls out of the atmosphere into coastal environments. That was surprising since fog accounts for a mere 5 percent of precipitation along the coast, but made sense when they considered the ocean as the source of this environmental toxin. In addition to the land-based sampling, the researchers went out on four research cruises to the California continental margin -- the submerged outer edge of the continental shelf -- to find out where the mercury might be coming from. They sampled the water column, plankton and sediments, but a key to their answer came from mesoscale eddies, the huge swirling water masses that spin off from the California current. They found that these eddies are dragging up dimethyl mercury and marine aerosols in fog clouds are converting it to the methyl mercury that's been discovered onshore. Ever since the Industrial Revolution, mercury has been spewing out of smokestacks and mining operations, with much of it ending up in the ocean where it wreaks havoc on marine ecosystems. Mercury can cause neurological damage and has been known to impair reproductive function, especially as it concentrates up the food chain. Although California industry emits relatively little mercury these days, its coastal communities may be disproportionately affected based purely on geography. “Just because of our unique coastal situation, the ocean, atmosphere interactions and the upwelling, we seem to be exposed to this somewhat natural enhancement right along the coast,” said Peter Weiss-Penzias, a chemist from the University of California, Santa Cruz. Since fog is a newly discovered pathway of mercury pollution onshore, the researchers are now trying to find out the impacts to terrestrial species. So far they've done a seasonal study of wolf spiders along the coast and found a spike in their mercury levels during periods of high fog. At the highest point, the spiders would exceed FDA limits on mercury consumption of 3 parts per million, if you were to actually eat one. “I would definitely not eat any spiders from foggy areas,” joked Coale. The group has embarked on a new study looking at — get this — puma whiskers. The results are not yet out, but Weiss-Penzias says it falls right in line with the others. And should humans be worried? The researchers said they don't believe their findings point to a public health crisis — switching from eating tuna to salmon would probably do much more to reduce mercury risk. But if mercury is making its way up the food chain, we should take notice, they said.